Tomorrow the University of Nottingham will play host to a landmark event in university sports, the first UKBJJA University BJJ (Brazilian Jiu Jitsu) League Competition. Around 100 competitors, male and female, will be travelling from universities across the UK to compete in gi and no gi divisions. 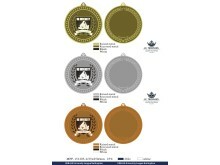 The UKBJJA has pledged to promote the sport at university level with the aim of BUCS recognition. 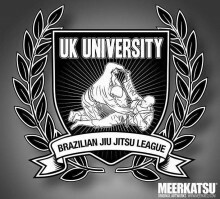 The second ever UKBJJA University BJJ League is coming to Nottingham on 11th March. We are planning for this to be the biggest and best BJJ event for UK university students and staff. 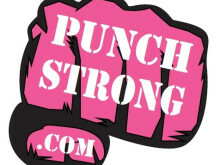 Early registration is now open! ​Saviour Tea and Sulston's Kitchen will be sponsoring the first ever UKBJJA University BJJ League Competition to be held at the University of Nottingham on March 12th 2015. The UKBJJA's Head Referee Dave Coles has designed a comprehensive refereeing course. This 6 hour course covers the first stage of the training programme, studying rules and theory of refereeing after which attendees take an exam. This course also covers the basics of running a table. It will be free for those who want to work at the UKBJJA University League Competition on 12 March in Nottingham. On 12 March 2016 the first UKBJJA University BJJ League Competition will be held at the University of Nottinhgam. Open to all current staff and students at UK universities, this is the first event in a league which will run annually with prizes on offer for the top university team and university competitors.